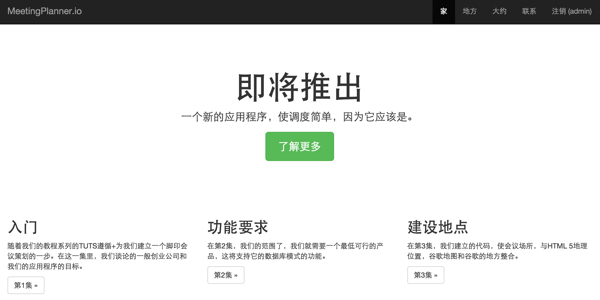 The TutsPlus.com site has kicked off a new set of posts today with he first part of their series covering internationalization in WordPress applications. A few years ago, I wrote about the process of internationalizing WordPress-based projects. Though I think there are some times when tutorials don't necessarily need updating, refreshing, or revisiting, there are other times in which we can all benefit from revisiting the topic. After all, software changes from year to year, and we also gain experience as we continue to work with a given piece of software. WordPress is no different. They'll be covering what internationalization is, how it works within WordPress, the difference between internationalization and localization and more. In this first part of the series, though, they briefly cover some of the functions and functionality you might see as a part of WordPress already to make internationalization possible. The SitePoint PHP blog has posted a tutorial from Younes Rafie that wants to help demystify internationalization functionality in your PHP application...with the help from a handy extension, the intl extension. Most applications perform locale aware operations like working with texts, dates, timezones, etc. The PHP Intl extension provides a good API for accessing the widely known ICU library’s functions. He walks you through the installation of the extension if you don't have it already for both PHP 5 and PHP 7 (the second requires adding a custom apt-get repository). With that all installed and configured he starts in on the code to output a simple message with formatting using the MessageFormat functionality. His first example is in English but he also shows the difference between that and Arabic and Bengali and they're related output. He looks at a few other topics including pluralization, "choices" (different messages for different values) and more complex cases. He ends the post briefly looking at message parsing - extracting a value according to the provided format. 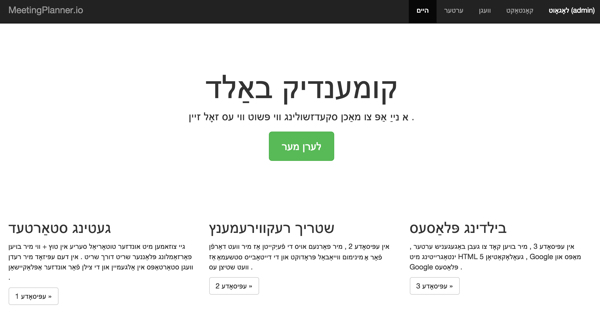 In this new tutorial to the NetTuts.com site author Jeff Reifman shows you how to use the Google Translate API to translate the content in your application/website to the language of your choosing. In his examples, he shows how to integrate it with a Yii framework application. In this tutorial, I'll walk you through my extensions to the Yii I18n extract script which do exactly this. 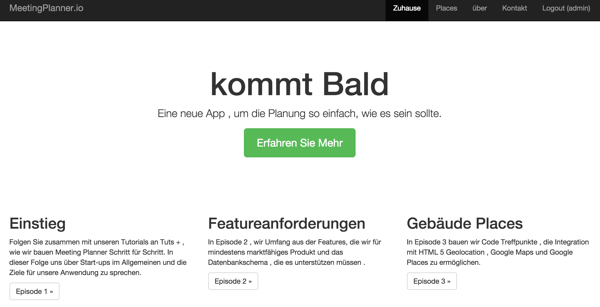 And I'll demonstrate translating my startup application, Meeting Planner, into a handful of languages. Keep in mind, Google Translate isn't perfect and it doesn't address issues related to time and date formats and currencies. But for a quick and affordable (free) way to build default translations for your web application into 50+ languages, this is an ideal solution. He starts with a brief introduction to the Google Translate API, the languages it supports and how to install the library he's chosen to make the connection. He then gets into the internationalization (i18n) functionality that Yii has (an introduction to that is here) and how to define the "messages" files with the different content strings. These files are defined to there's no need to call out to the API for every piece of content that loads. He shows how to extend the message extraction handling to add in the API request and parsing the result. This information is then added to the current message information files, making it simpler to add in new strings. He then integrates this into the Meeting Planner application and shows how to run the script to call the Google API and switch the language with image results in several different languages of the finished output. In the latest part of their series of "building a startup" application in PHP, NetTuts.com looks at supporting internationalization with the functionality of the Yii framework. 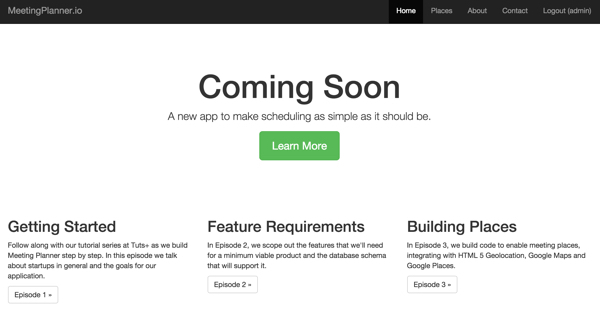 This is part four of the Building Your Startup With PHP series on Tuts+. In this series, I'm guiding you through launching a startup from concept to reality using my Meeting Planner app as a real life example. Every step along the way, we'll release the Meeting Planner code as open source examples you can learn from. We'll also address startup-related business issues as they arise. In this tutorial, I wanted to step back and add I18n internationalization support to our application before we build more and more code. They start off with a look at some of the overall goals of internationalization (i18n) and about how it works in the Yii system. It uses placeholders with a key/value system to replace the data based on which language is selected. They show you how to configure Yii's support including default language, sorting of the data and files to exclude when looking for i18n configurations. With this configuration in place they show how to use the command line tool to extract these messages out into separate folders for easier management and faster reference. Finally they show how to select a language and use the Yii code generator together with the translations to create models and forms. On the SitePoint PHP blog they've posted the second part of the series looking at using the FigDice for the templates in your application. In this new post they expand on the basics presented in part one and look at internationalization. In part one of this two-part series I started looking at FigDice, a PHP templating system that takes a slightly different approach to most. [...] In this second and final part we're going to add a simple blog to our example site, which allows us to look in more detail at Figdice's concept of data feeds. 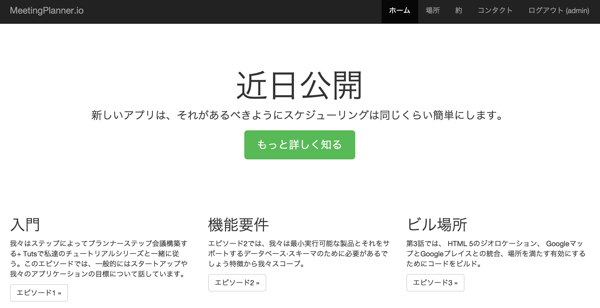 We'll also look at internationalization, translating some of the site's content into a couple of additional languages. In this part of the series (part two of two) they create a simple blog application based on their "Feed" class from before, faking some basic content. He then creates the factory class the FigDice templating will fetch the data from and makes a view to use it. He also talks about the optional functionality to add additional data to the feed output as attributes on the element. Finally he shows how to work all of this back into the HTTP framework under a "blog/post" URL. On the Lingohub site there's a new post showing how internationalization (i18n) is handled in 5 major PHP frameworks - CodeIgniter, CakePHP, Zend Framework Symfony and Yii. As discussed in the previous articles on PHP internationalization, PHP provides native support for string translation using gettext and PHP arrays. These can be used in any PHP project. Additionally, some popular PHP frameworks offer their own way of string translation. In this article, I want to provide a brief summary of the internationalization process with five of the most popular PHP frameworks currently out there. In this How-To you will read about using CodeIgniter, CakePHP, Zend, Yii and Symphony. There's only a bit of sample code here, so it's not a complete tutorial for all of them. Mostly its links to more information about how each framework does things - modules used, formats and configurations.